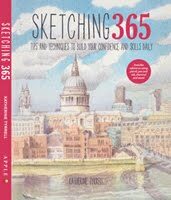 My very first book review over on my new blog is about Alyona Nickelsen's first book - Colored Pencil Painting Bible. Alyona Nickelsen is an award-winning coloured pencil artist who was born in the Ukraine. In 1999 she moved to a new life in the USA with her husband Tom. She now lives in Aliso Viejo, CA. 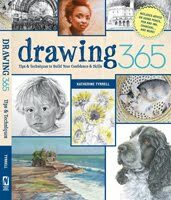 In the last ten years she has started to use coloured pencils on a professional basis, developed great skill in the way she uses them and achieved both recognition and success as a coloured pencil artist in the USA. Her art has been exhibited in more than 30 national and international shows and won numerous awards. 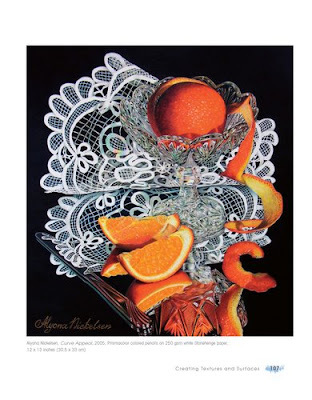 Alyona is now a Signature Member of the Colored Pencil Society of America (CPSA), a Full Member of the Catharine Lorillard Wolfe Art Club and a Juried Member of the International Guild of Realism. Her work has also been featured in leading art journals. 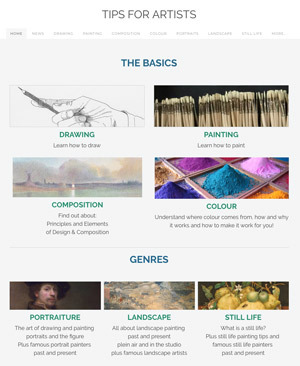 Last year Alyona started her own online Colored Pencil Painting School which opened for business last September. As you'll see from her answers to my questions Alyona has been a very busy lady of late! 1. How long have you been using coloured pencils? I have been using colored pencils professionally since 2002. However I have used colored pencils my entire life. My journey began when I was just a child and I then used them throughout my entire school life. 2. Why did you choose them as the medium for your artistic expression? Why did they appeal to you? I have always been passionate about graphite and charcoal. When the time came to integrate color into my work I began looking around for my own perfect medium. I tried oils, but due to some health issues, I cannot tolerate the smell. I had given a pretty good effort to acrylics and began seriously thinking about it when I stumbled upon a large set of colored pencils. This immediately brought back the only positive memories I can recall from the gray days of my childhood in the former Soviet Union. That is how it started. I was (and am still) amazed at the pencil quality, the wide selection and the brilliant colors that are available to the modern colored pencil artist. 3. I’ve seen one of your paintings in person and was very impressed with the depth and intensity of colour you achieve. Your new book focuses on the ‘how to use odorless mineral solvents’ in some detail. How did you arrive at your technique? During one of my wanderings in an art supply store I met a worker who was very knowledgeable about the store’s merchandise. She was kind enough to answer quite a few of my questions about different types and brands of art materials. 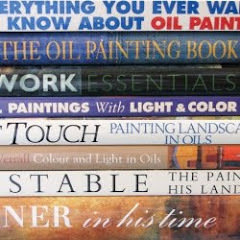 I mentioned that I had difficulty with the smell of oil paints and she introduced me to Gamsol Odorless Mineral Spirits as a substitute for turpentine. This didn’t solve my oil problem but something on the label attracted my attention. There, I noticed a statement that OMS could be used with oil and wax mediums. I soon began experimenting and Gamsol remains an important tool in my art toolbox. 4. I find I much prefer dry media to painting with brushes. 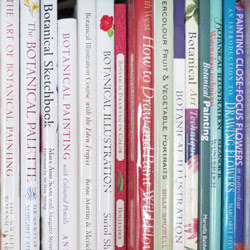 Given the painting emphasis of your work and the title of your website Brush and Pencil, are you really a secret brush artist at heart? The brush is a good companion to pencil in my artwork. I frequently use a waterbrush to apply OMS in smaller and more intricate areas. However, this is not the only one way I use brushes. I love the control that dry medium provides you. But sometimes you need to bring more spontaneous elements to your work and, for example, apply a wash of ink or watercolor. 5. Have you ever tried combining coloured pencils with any other media? Yes, as I already mentioned, I sometimes include ink or watercolor to achieve a specific effect. Recently I began looking into encaustic mediums and oil pastels as a new addition to my technique. 6. I’m not a fan of work which takes forever to complete. I remember once you got the same painting into two different competitions before noticing that the dates clashed. You decided to create a second work identical to the first. I remember you as being very confident that you could make the deadline for despatch – which prompts my next question. 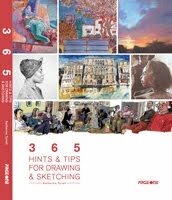 Once you’ve resolved the content and design, how long does it typically take you to create a coloured pencil painting? When the composition and color mix solution are ready, the only factor that can affect the time of the execution is the size of the work. I would say that an 8”X11” piece could be achieved in less than a week. 7. The preface to your book talks about the journey involved in creating your new book. What was your biggest challenge in developing the book? The biggest challenge was not letting the circumstances overwhelm me so that I could stay focused. The actual writing of the book happened after it was already fully formed in my mind. It was just a matter of putting everything together in organized manner and developing visual examples. However, the sudden illness of my mom and her chemo therapy treatment put enormous pressure on me during that period. My parents don’t speak English and I was the only source of communication for them. I spent endless days in different hospitals with my mom, taking care of her and being her interpreter for doctors and nurses while I wrote on a laptop. There were many times when I had to gather all of my strength just to continue working on the book that I had promised to so many people. At the same time my dad needed me to communicate with my American husband, Tom, who doesn’t speak Russian and my son, who speaks Russian with great difficulty. This was an enormous challenge that meant non-stop talking for an entire year, switching back and forth between two languages, keeping all house chores and trying to squeeze in enough time to work on the book in parallel. 8. Which artist has had the most influence on you in terms of how you create your art? I would say that it was not a particular artist, but the entire art movement, called social realism, had an immense influence on me. Looking at the framed pieces of Soviet propaganda I knew that I did not want my work to be polluted by the mind bending agenda of the communist party. I did admire the work of world classics as well as many Russian masters, such as Ivan Kramskoy, Ilya Repin, Vasily Surikov and others. 9. Your life must have been very busy of late. 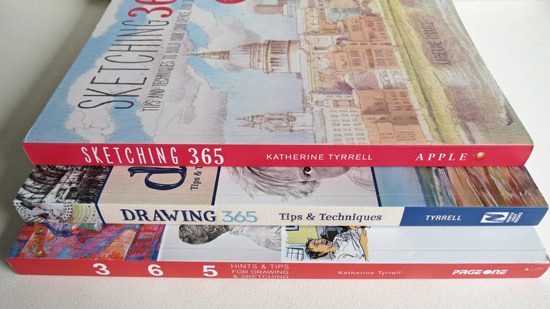 How do you manage to balance creating art for galleries and competitions with writing books and teaching coloured pencil? You are right, but busy is not the word – crazy is more like it. I work nonstop from 5:30 in the morning to 10:30 at night when I just about drop dead away into bed. I have on average 40 emails per day to answer, check student’s homework, take care of the business part of my work including packing, shipping, mailing, bookkeeping, making phone calls, etc. I don’t currently have time to participate in any juried shows. This year I didn’t even have a chance to enter anything into the annual CPSA show. The majority of my time goes to maintaining my school, communicating with my readers and, as a luxury, occasionally getting to work on a new art piece for my galleries or working on a commission. 10. What are your future plans for working with coloured pencils? Is there going to be a second book? Absolutely, I am currently working on the second colored pencil book. Sorry, but I can’t disclose the details yet. 11. Finally, you’ve won an awful lot of prizes – which one meant the most to you? The most powerful impact on me was not even receiving an award, but my very first acceptance in a national show. I remember my doubts regarding my artistic career were at a peak when I received this first proof that I was on the right path. In that regard I would like to say thank you to Beaumont Art League in Texas as well as Frank Gerrietts, a great artist and a former president of BAL. 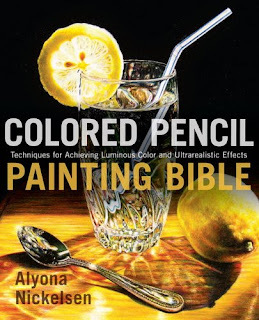 Alyona's new book Colored Pencil Painting Bible was published by Watson Guptill in March and you can also read a Book Review: Colored Pencil Painting Bible on Making a Mark reviews...... today. Very interesting interview, thank you. Thank you for a wonderful interview. I have always admired Alyona's productivity and her work ethic. Yet I can't imagine how she handled the demands of her mother's illness as well as her family and business responsibilities. Her strength and determination are most admirable. 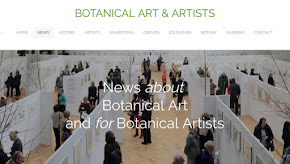 Thanks for a great interview - I really enjoy reading interviews with other artists! Also great to read the interview with you that you linked to the other day!! yey for the fellow Ukrainian! 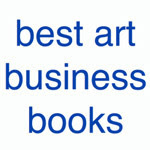 Who are the "best and the brightest" artists? 26th April 2009 - Who's made a mark this week? Earth Day - and how to draw a tree! 19th April 2009 - Who's made a mark this week? 12th April 2009 - Who's made a mark this week? 5th April 2009 - Who's made a mark this week?